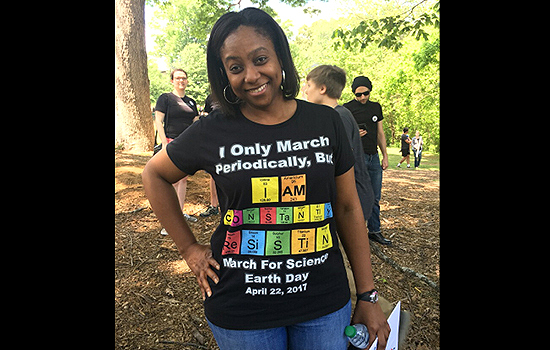 Nursing instructor Jasmine Clark (right) was out in front as director of Atlanta's March for Science. 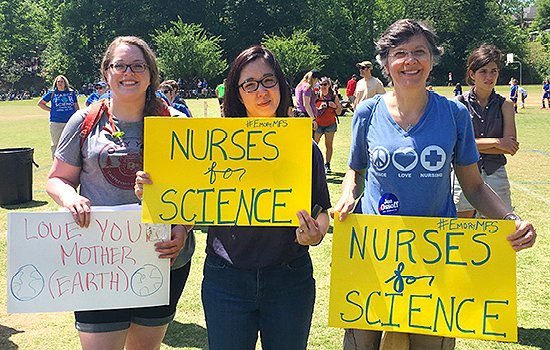 Marchers from the School of Nursing included (L-R) staff member Amanda Denzer-King, assistant professor Irene Yang, and BSN graduate Jennifer Ratcliffe. 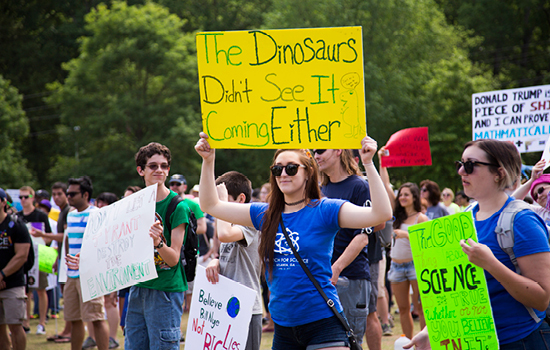 One of many signs created by Atlanta marchers. PhD student and Emory Healthcare nurse Gaea Daniel. Another take on the importance of science. Alan Abramowitz (center), professor of political science at Emory. 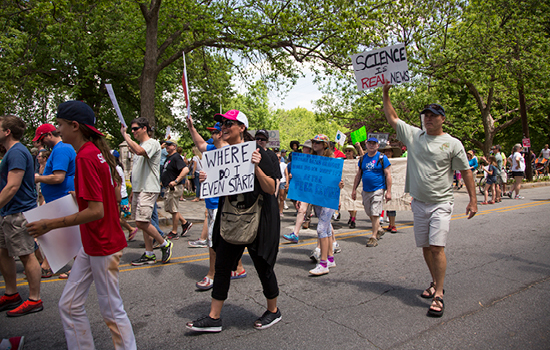 Marching through Atlanta's Candler Park neighborhood. Family affair: Staff member Amanda Denzer-King (center) and her mother-in-law. 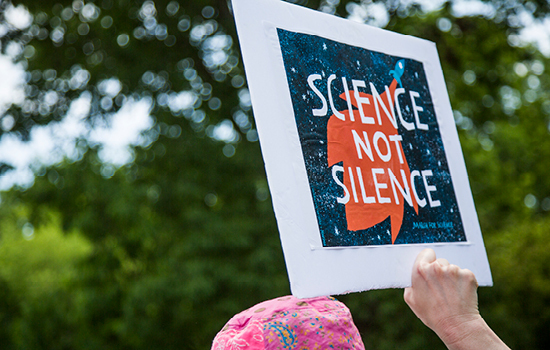 On April 22, School of Nursing faculty, staff, students, and alumni joined thousands of marchers in Atlanta and Washington, D.C., in the nationwide March for Science. 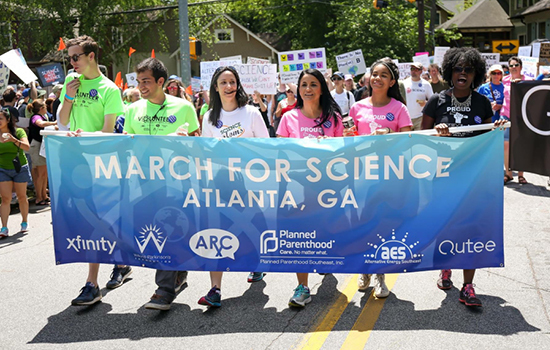 "Nursing has a lot to do with science in terms of health and technology," says microbiologist and nursing instructor Jasmine Clark 13G, who directed the Atlanta march. 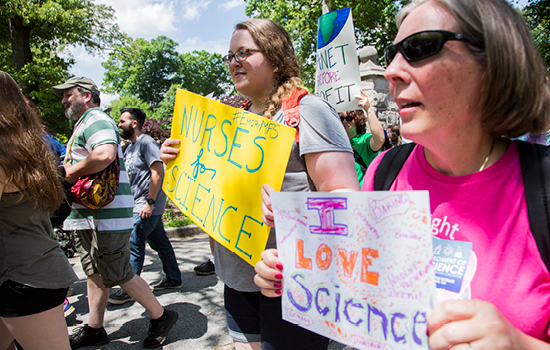 "A threat to science is a threat to the medical community, and nurses are part of that community, including School of Nursing researchers who may be affected by budget cuts at NIH." Following the Atlanta march, organizers issued a call to action to keep their momentum going. 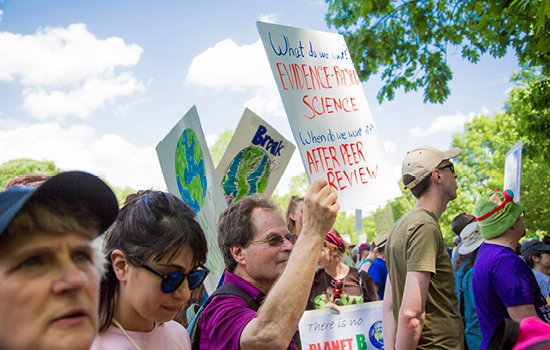 They encouraged marchers to contact their local and national representatives about the scientific issues they would like to see addressed.